The models available are as follows: in stock models usually ship within 24 hrs. The #0 thru #5 models come with 2 die clips for the base to hold tooling or dies to the base. The #6 and #8 come with 4 hold down clamps. All models except the #0 come with large round flywheel. The #0 is the ball weight style. The #0, #2, #3, #4, #5 presses come with 1 handle rod, #6, comes with 2 handle rods and #8 comes with 3 handle rods as standard equipment. The #0 - #6 models are the single sided C frame. 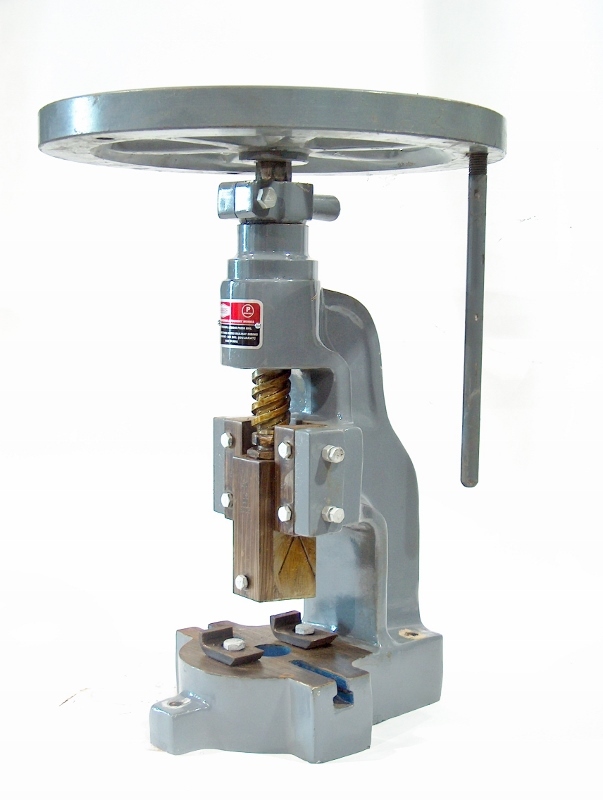 We can also order #8 c frame fly presses on a special order basis subject to current pricing. please email us with any questions you may have on this fantastic forging productivity machine.